Regarding an affair we often talk about the hurt, the divorce, the kids, and the betrayal, but rarely is the beginning of the affair ever discussed. Well, at least until it is too late. In their book, Intimate Issues, Dillow and Pintus address this and work to help women stop an affair before it ever starts. Men would do well to take note here also. The authors discuss the beginning of an affair in three stages. The first being temptation. Let’s say you meet a man through normal circumstances. He is attractive, thoughtful, and everything you have been missing in your own marriage. You get excited because there is a chemistry between you and he seems equally as dissatisfied in his own marriage. Here is an opportunity to feel things you’ve not felt in a long time. It is indeed tempting. This tempting situation leads to the second stage; contemplation. You begin fantasizing about how things could be with this man. When you see him , careful consideration is made of how you dress and of your perfume. The affair is continually entertained in your mind and you begin noticing opportunities to act on these thoughts and feelings. Finally, you may move into activation. You will finish this stage with comments like, “I wasn’t thinking” or “it just happened.” Don’t reach this stage. By now, it is too late. 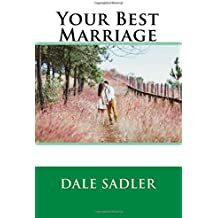 You may get into the first two and hopefully within them you will see the necessity to seek marital counseling or get some type of help before your marriage ends and many lives are ruined because the best time to end an affair is before it ever happens.